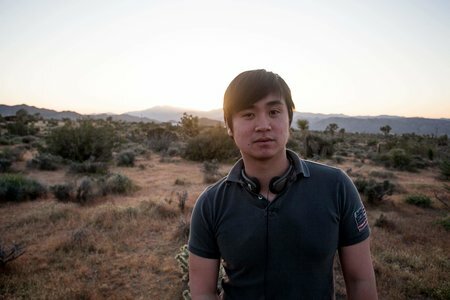 Director and camera operator Zac Chia is slated to direct the upcoming film "A Good Thing" written and produced by Terrence Grant. Expected to begin shooting in Chicago in the fall, “A Good Thing” follows Tahj, a young college graduate who finally feels that he’s outgrown the social insecurities he faced as a teen. However, after spending a night with Olivia, an ex-girlfriend who he sees as the ‘one that got away,’ Tahj soon realizes he’s developed a new set of unexpected anxieties as an adult. “A Good Thing” is written and produced by Terrence Grant, the producer behind the 2015 film “Joy,” an award winner at the American Black Film Festival that screened on HBO during Black History Month and depicts a Nigerian middle-aged woman living in America, struggling to convince her traditionalist husband not to circumcise their ten year old daughter. In addition to directing the film, which is expected to be released in 2019, Chia will also be serving as the film’s camera operator. Though Chia has earned multiple accolades for his work as a director over the years, he is known throughout the industry for his work as a gimbal and camera operator, as well as a cinematographer, aspects of his visual skill set that naturally carry over to his work as a director. Chia’s unparalleled talent for capturing the shot has led numerous projects to success in recent years. Earlier this year he served as the gimbal operator on the popular FOX and T-Mobile series “The Four,” the series premiere of the CWseed’s supernatural teen drama “Cupid’s Match,” and several episodes of the Overwatch league’s “Access Granted” series presented by Toyota. Chia worked with Arden Tse once again back in May as the gimbal operator and technician on the new commercial for HBUS, a cryptocurrency trading platform based in Silicon Valley that is set to launch later this year, which was directed by Tse. On several projects to date Chia has proven his unique ability to move between the roles of director and camera operator on a production with grace. Prior to serving as the gimbal operator on the new “Access Granted” series for the Overwatch League (OWL), he both directed and served as the camera operator on several branded content episodes for OWL from Blizzard Entertainment.